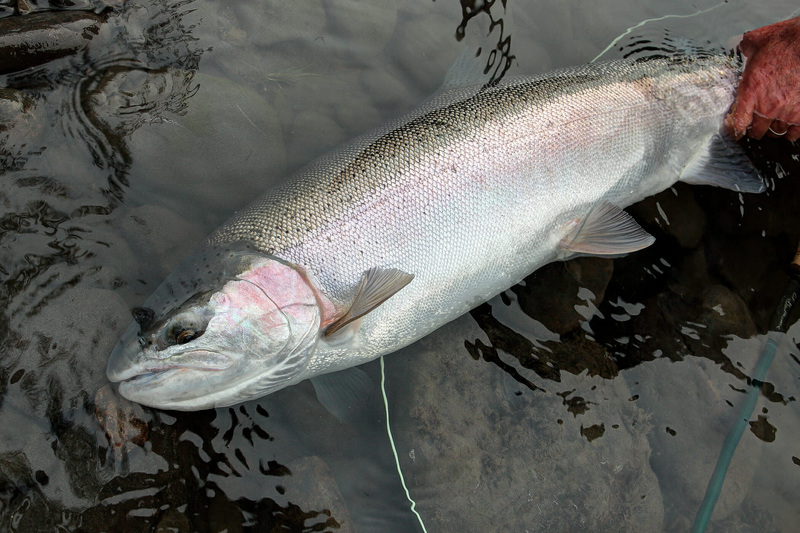 Winter steelhead season is winding down, if not over in some rivers in the Pacific Northwest. Time for anglers to regroup and prepare for summer runs. First, a bit of cautious optimism. 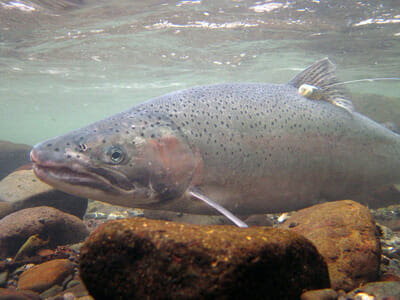 More steelhead are predicted to return to the Columbia River basin this year than in the past two years. Last year the upriver summer steelhead return was some 100,000 fish. This year, scientists are predicting a summer run of 126,000 fish. Not a huge boost, but not insignificant either. Of course, we also know that pre-season run forecasts can vary wildly from year-to-year because predicting fish returns often is like looking into a Magic 8-ball (raise your hand if you had one of those as a kid). If you want to learn more about the predicted returns for other species to the Columbia River basin this summer and fall, read this article. One reason (among many) it is difficult to forecast run size for returning salmon and steelhead is because of the vagaries of ocean survival. Predicting run size requires some information about survival in the ocean. Because survival is variable in the ocean, predicting survival requires knowledge about where fish are in the ocean. Alas, while we have improved our understanding of ocean conditions, salmon and steelhead distribution in the marine environment, and how those factors interact, much remains unknown. Until we have a better grasp on where different species of salmonids are going in the ocean and, if possible, on the extent to which different populations and stocks of fish may use different parts of the ocean, our forecasts of steelhead and salmon returns will continue to be as much guesswork as statistical extrapolation. Given the uncertainty of anadromous returns forecasting, it is exciting to see a new project focused on gaining a better understanding of where salmon are going in the ocean and whether different populations are using different areas at different times. While the project is not directly focused on steelhead — largely because steelhead are not as important commercially as salmon stocks — it is nonetheless possible this research will capture a few steelhead. If not, the information gleaned about salmon may well lead to more research on steelhead in the ocean. In either case, this project is an important next step for science. To read more, check out this article. And if you want to learn more about the ocean distribution of steelhead, check out this report from 1989. It is a classic and provides an array of maps showing when and where steelhead have been caught at sea. John McMillan, senior scientist for TU’s Wild Steelhead Initiative, is the author of this post. McMillan lives on Washington’s Olympic Peninsula.